Lately it seems like all the young girls in neighbourhood are getting married I have two good friends and neighbours who between them have 5 girls and three of them are about to or have recently been married and the rest are in the bridal party.... Don't get me wrong I love a good wedding and so far they have been fantastic and the girls all looked very beautiful. This is one of the wedding cards I made, this one was for the beautiful Trista and her new hubby Brenden who were married a couple of weeks ago. The stamp set was Baroque Motifs and I added some pearls from the Pretties Kit. Very simple but very classy don't you think? 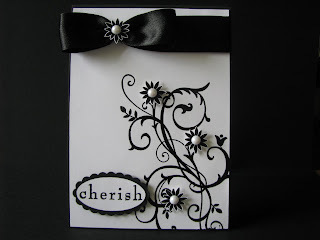 Ypour Blog looks great & you have some gorgeous cards I partically like this wedding card. 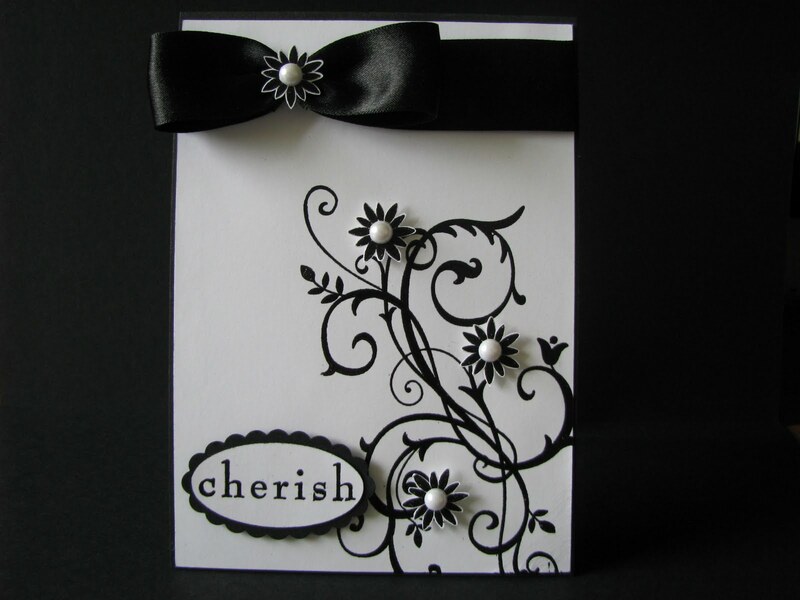 Tammy, your blog looks great and your cards are too. Love the wedding card and the Rocket from Pun Fun. Tammy, this is a beautiful wedding card. I just love black and white, very elegant.